Big’n, Bear Claw, and Pinebender play The Burlington tonight. 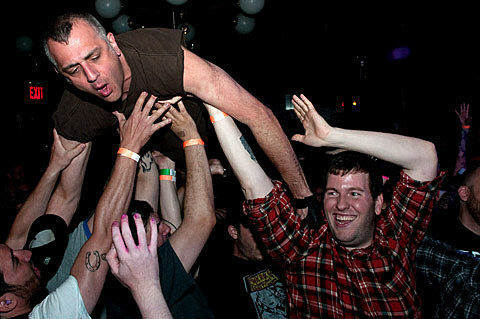 The Dwarves, The Queers, and Dan Vapid & The Cheats play Reggie’s. Black Flag, Labretta Suede, Aldermen, and Gun play Cobra Lounge. Travi$ Scott, Stacked, and Loudpvck play a late show at Bottom Lounge. The Octopus Project, Netherfriends, and When Clouds Attack play Subterranean. Matthewdavid, Odd Nosdam, Serengeti, Bre’r, Ant’lrd, and Calidonia County play the Empty Bottle. MGMT performed their new single “Your Life Is A Lie” on Letterman last night. Check out the footage below.